Outsourcing has become fabulous concept for today’s business. We facilitate world-class and quality work to our clients across the world. 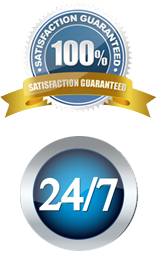 We have highly skilled and experienced Virtual Assistants (VA) to assist you. A1 virtual assistant in USA/India - offers virtual assistant services to all over the world. We committed to offering top-quality services as per your business needs. So what you are waiting for, welcome to our virtual world and cherish the services offered! A virtual assistant is an independent contractor serving skilled services from a remote area. These virtual assistants offer the services through Internet, mail, fax or phone. Benefit of hiring assistant services? Hiring a virtual assistant offer you a range of benefits. We are not striving to offer services, but make our client’s business grow rapidly. You are not required to offer traditional office paraphernalia like office space, training and equipment. Apart from this, you need not to pay benefits unlike your traditional personal secretary. They are the people who understand your need and act as per that only. Why A1 virtual assistant company? Being the leading company in the market, A1 virtual assistant renders cutting-edge solution for your business. We let you enjoy both personal and professional lives and left no stone unturned to give you a quality service with a personalized approach. We give helping hand to our clients to make their business grow and reach greater heights. A1 virtual assistant service means an extension to your business. So for what you are waiting, add an extra extension and make your business a brand name!